As far as accidents go, nothing is more frustrating than accidently spilling coffee, wine, ketchup, or anything else for that matter, on your rug. What was once a beautiful centerpiece on your living or dining room floor is now stained with an unattractive blemish. But, all hope is not lost. There are tons of options out there when it comes to getting rid of a stain and making your rug good as new once more. One route you could take is investing in a rug or carpet cleaning machine. Today, we’re going to talk about five benefits a rug or carpet cleaning machine has to offer for your home cleaning needs. No matter what your budget is or the type of rug you have, there is a rug cleaning machine for you. if you’re a pet owner, the Bissell DeepClean Deluxe Pet Carpet Cleaner can help you not only get rid of stains caused by your dog who couldn’t hold his bladder, but also can gather pet hair in your rugs. Or, if you want multifunctional cleaner that allows you to clean stairs or couches, check out the Hoover Power Scrub Deluxe which features an 8-inch hose attachment for those hard to reach nooks and crannies. If you’re hesitant of having a heavier machine in your home, check out the Spotless Cordless Carpet and Spot Cleaner from Bissell which is a great lightweight, portable option. There are plenty of manufacturers and styles to assist you in keeping your home clean. You don’t even have to buy a rug cleaner, but you can rent one instead. If you keep your home clean and the rugs free of dirt, grime or other stains, then renting might be the best option for you. Renting allows you to avoid making a big purchase only to find out that you never really use it. However, if you find that your rug or carpets typically do get quite dirty, buying a rug cleaner will allow for a quick clean anytime you need it. You can also hire a professional cleaner to make sure that the stain is cleaned properly. At ServiceMaster Clean, our team of experienced professional cleaners uses the latest and most advanced rug cleaning technologies to ensure that your stains are a thing of the past. A clean space is a clean mind. Cleaning your rugs and carpets doesn’t have to only occur when an accident happens. A clean home or office allows for more productivity and more peace of mind and even if you don’t have a nasty stain or odor to clean up on your rug, you can still use a cleaning machine to keep your home fresh. We’ve all found ourselves at some point down on our hands and knees, with a rag in one hand and some carpet cleaner in the other, trying desperately to rub a stain out of our rug. It’s not fun and it usually doesn’t work as well as we’d like. Luckily, a rug cleaning machine allows for a much more simple process when it comes to making your rug clean again. By simply plugging it in, a carpet cleaning machine can help keep your floor clean. Simply put, you’re going to see better results if you decide to invest in a rug cleaning machine. While it will be more expensive than traditional methods of getting rid of stains, in the long run, it will be worth it. With a rug cleaning machine, you’re going to see less damage to your rug then if you using a cloth to rub out the stain. Overall, a machine cleaner will help keep your rug in pristine condition, especially with those tough stains. Whether you’re in need of residential or commercial cleaning, we offer the best cleaning services in the Twin Cities. If it’s your own home that needs cleaning, impress your friends and family by utilizing our services to make your home as clean as it was when you first moved in. If it’s an office that is in need of some upkeep, our commercial cleaning technicians undergo a strict hiring process so you can trust us to make your business is in tip-top shape and ready to make a solid first impression on your prospective customers. 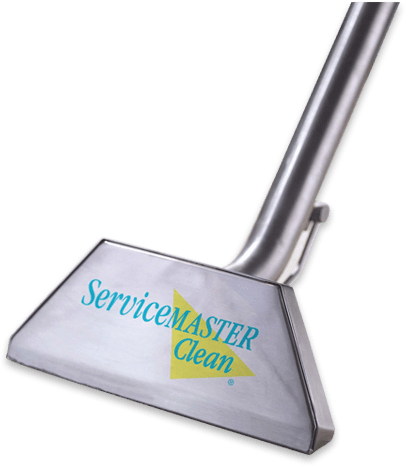 Call ServiceMaster today at 612.324.4981 or send us a message about your cleaning needs and we’ll get back to you as soon as possible.